One weekend, Jon and I had to drive out to Batangas to attend a friend's wedding. It was the perfect opportunity for a weekend getaway - celebrating with our friends and taking in the beautiful views while staying at Club Punta Fuego. The drive down to Batangas was fairly easy as we left on a Saturday morning. Despite the fact that it was on a semi-long weekend (Labor Day was on Tuesday, which meant a lot of people took Monday off as well), it wasn't traffic at all. Also, thank you to modern technology for bringing Waze into the game so we could find the fastest route going to Club Punta Fuego. 9/10 would trust Waze. Come sundown on Saturday, it was wedding time. Had to brave a bit of heat, but what a beautiful scenery, with the aisle leading out to a breathtaking open view of the sea (yet again). Jumpsuit: Forever 21 | Earrings: lilitph on Shopee | Gel Nails: Nail It! 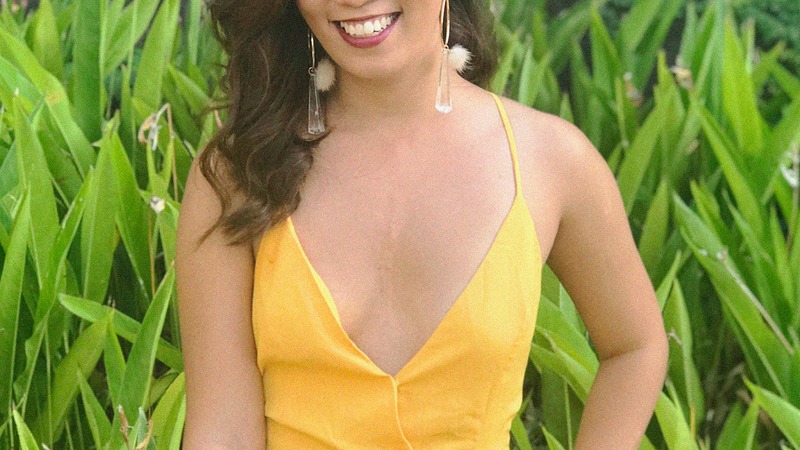 For my beach wedding guest look, I chose to go with a yellow jumpsuit from Forever 21 to match the garden/beachfront setup. Outdoor weddings are so fun because you definitely have quite a range of wedding guest outfits that you can go for. Depending on the setup, you can be a bit more relaxed with your outfit, like what I did (except when it was time to go to the bathroom because we all know how that goes when you're in a jumpsuit!). Jon went for a cool and clean white shirt and chinos look. 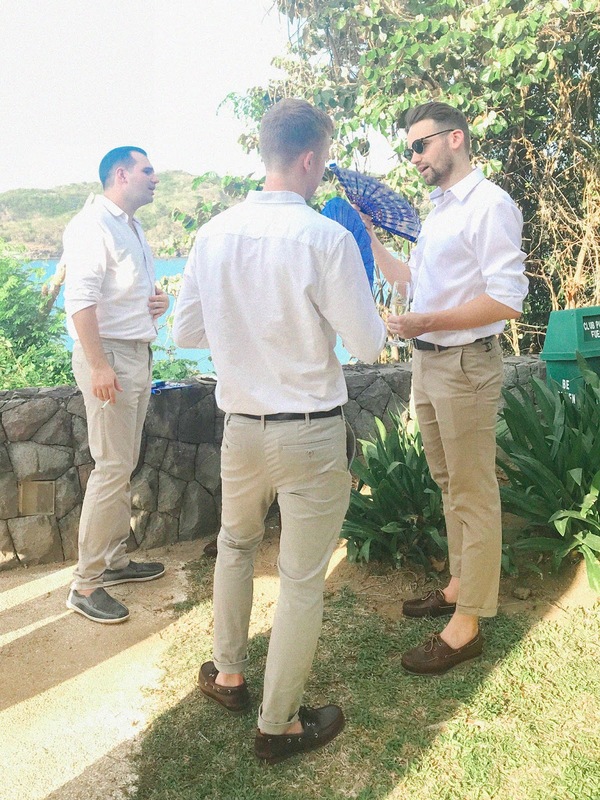 Later on, we found out that this is a solid beach wedding outfit, as around 2 other guys turned up in similar looks (also, they turned out to be people he'd met back in Singapore - the world is so small). Hahaha! The next day at Club Punta Fuego was relaxing. We had breakfast, packed up, checked out, and hung out by the pool until we all felt like going home. Have you attended an outdoor wedding similar to this? Or maybe you've been to Club Punta Fuego?